From1998 to 1999, a major retrospective of Kusama’s works which opened at the Los Angeles County Museum of Art traveled to the Museum of Modern Art, New York, the Walker Art Center and the Museum of Contemporary Art, Tokyo. 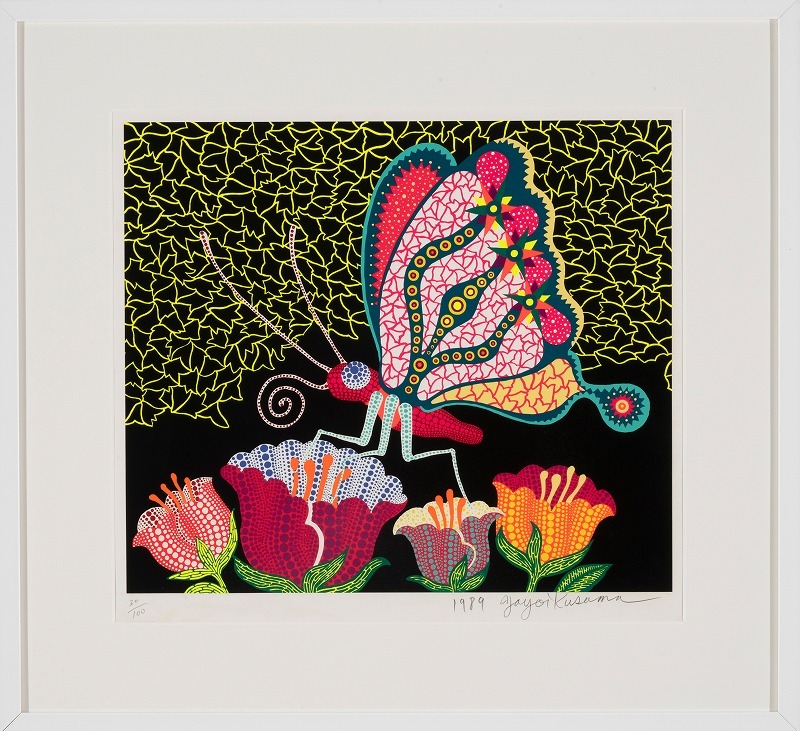 In 2000, Kusama won The Education Minister’s Art Encouragement Prize and Foreign-Minister’s Commendations. Her solo exhibition that started at Le Consortium in France in the same year traveled to Maison de la culture du Japon, Paris, KUNSTHALLEN BRANDTS ÆDEFABRIK, Denmark, Les Abattoirs, Toulouse, KUNSTHALLE Wien, Art Sonje Center, Seoul. In 2008, Documentary film : “Yayoi Kusama, I adore myself” released in Japan and also screened at international film festival and museum. Exhibition tour started at Museum Boijmans Van Beuningen in Rotterdam, traveled to Museum of Contemporary Art Sydney in Australia in 2009, City Gallery Wellington in New Zealand. Conferred the honorary citizen of Matsumoto city. Solo exhibition at Gagosian Gallery NY and LA, Victora Miro Gallery in London and Padiglione d’Arte Contemporanea in Milan. Honored as Person of Cultural Merits in Japan 2009. 2012, “Eternity of Eternal Eternity”, recent works solo national traveling show started at National Museum of Art, Osaka traveled to The Museum of Modern Art, Saitama, Matsumoto City Museum of Art, Nagano, Niigata City Art Museum. In the next year, it travel to Shizuoka Prefectural Museum of Art, Oita Art Museum and Museum of Art, Koch. Solo exhibition at Victoria Miro gallery (London). Shinjuku Honorary Citizen Award. The American Academy Of Arts and Letters Foreign Honorary Membership. Collaborated with Louis Vuitton creative director Marc Jacobs on collaborative collection “LOUIS VUITTON × YAYOI KUSAMA Collection”. 2013, “Yayoi Kusama. Obsesión infinita [Infinite Obsession]”, South America retrospective tour started at Malba – Fundacacion Constantini. It will travel to Centro Cultural Banco do Brasil, Rio de Janeiro, Centro Cultutal Banco do Brasil, Brasília, Instituto Tomie Ohtake, São Paulo and Mexico City. “KUSAMA YAYOI, A Dream I Dreamed”, recent works exhibition tour started at Daegu Art Museum, Korea. It will travel to Museum of Contemporary Art Shanghai, Seoul Arts Centre, Taipei Fine Arts Museum, National Gallery of Modern Art, New Delhi.